The Spine is regarded as the UK’s most brutal race. And the title has just been taken by Britain’s 35-year-old, Jasmin Paris. And we are not talking about the ladies title. Jasmin has won the entire race, shaving a whopping 12 hours off Eoin Keith’s course record in the process. 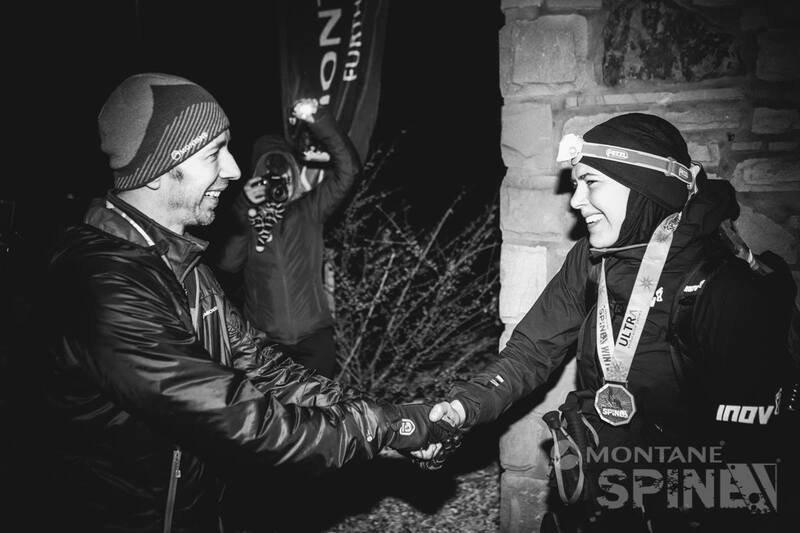 Jasmin arrived at the finish line of this brutal 268-miles race on Wednesday evening where her husband and baby were waiting to welcome her home. In addition to the challenge of tackling the entire Pennine Way national trail which runs from Derbyshire’s Peak District to the Scottish Borders, Jasmin was also faced with an additional challenge – to express milk at every checkpoint as she is still breastfeeding her daughter. But it seemed the British National Champ took it all in her stride. For the last 17 hours of the race Jasmin ran solo, steadily breaking away from Spaniard Eugeni Rosello Sole, who has since retired just 6km from the finish. Our very own Eoin Keith has therefore moved into second place overall and is still out on the course some 14 hours after Jasmin reached the finish line which is a testament to how phenomenally strong Jasmin is. Jasmin took just 83 hours and 12 minutes to complete the race, shaving 12 hours from Eoin Keith’s record. Her total rest time across the four days was just seven hours. This time included sleeping, eating, sorting kit and expressing milk. By Tuesday night she said she has slept just 2 two hours and 15 minutes since she started on Sunday. Compeitors have faced horrendous weather conditions throughout the race with winds reaching 50mph at points. And do spare a thought for those still out on the course as temperatures drop and snow looks set to hit any minute now.